LISTA is the recognized market leader in Europe in respect to workspace and storage equipment. We have set the standard and our name stands synonymous for drawer cabinets. The wide selection of cabinets, workstations and shelving systems can be freely combined to make your workspace work. Our products are enjoyed today by over 100,000 satisfied customers in a variety of different industries. 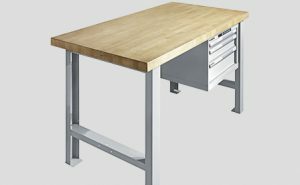 The LISTA standard unit is the base of a system in which multiple components can be combined and matched. 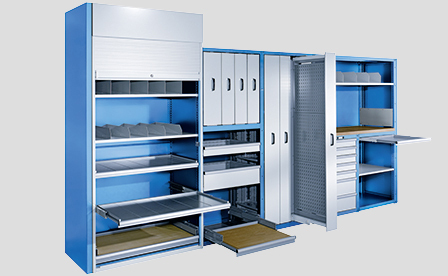 Cabinets, workstations and workbenches, or shelving systems can be freely configured, independently partitioned, intelligently labeled and protected with access control. Furthermore, almost any colour can be chosen to meet your desire. In short, Lista provides a system to organise your business successfully. We supply our quality products to more than 100,000 businesses all over the world. The drawer wall combines all the benefits of a drawer cabinet with those of shelving units. Drawers, pull-out and adjustable shelves can be combined flexibly to create a multitude of different installations. Necessary changes can be carried out by simply reconfiguring the individual elements. Thanks to the variety of system elements available, installations can be created to match your logistic systems. For numbered storage or IT-managed put-away logic, drawer walls allow you to organise things perfectly. 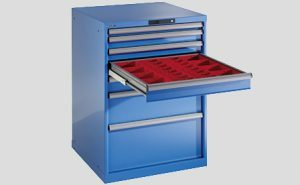 LISTA heavy-duty cabinets are the ideal solution for the storage of heavy materials on adjustable shelves, pull-out shelves and in drawers. With retracting doors, hinged doors, vertical shutters, or in an open design – all current access protection solutions are possible. 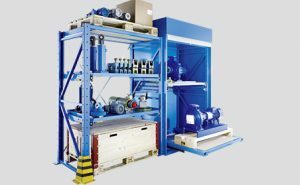 Transparency in the warehouse with simultaneous access protection is possible thanks to retracting doors or hinged doors with a viewing window opening.